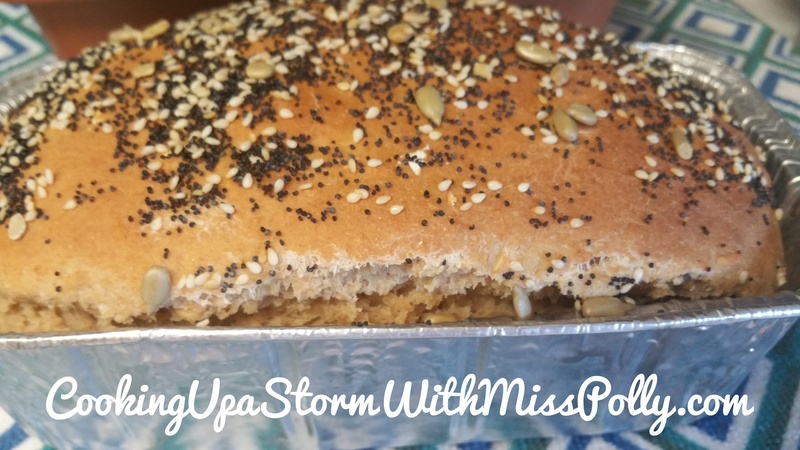 This bread has a really sweet, wonderful slighy nutty, coconut flavor with a subtle taste of peanuts from the Peanut Coconut Granola that I used in the recipe. It turned out great and I’ll make it again and again. Simply mix all the ingredients together in a KitchenAid mixer or with a very heavy spoon, and stir until blended. Bake in a 350-degree convection oven or regular oven for about an hour. Check about 10 minutes before the time is up on your timer how the bread is doing and how it’s cooking. If it needs more time then go the full hour.